"Edge Of The Universe", the new video from FM singer Steve Overland, can be seen below. 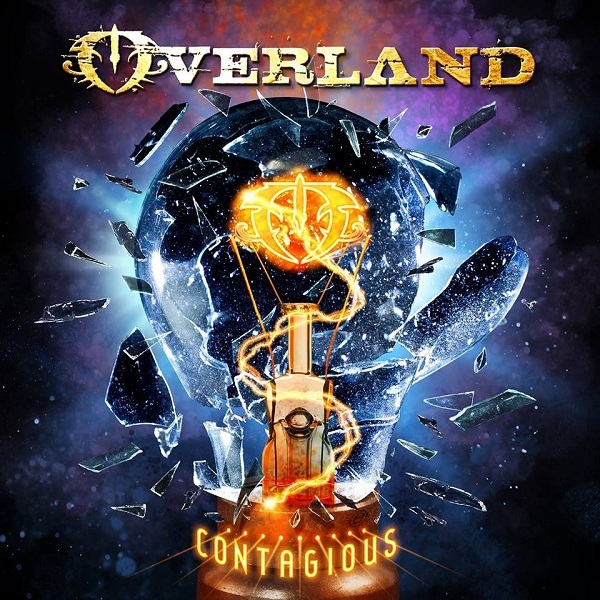 "Edge Of The Universe", is taken from OVERLAND's new album Contagious, which was released on October 21, by UK label Escape Music Ltd.
Steve Overland is a legend in his own lifetime. Is there anyone out there who is not familiar with his name? He has a history that goes way back into the late seventies, his first major recording was with the band “Wildlife” in 1980. After the demise of “Wildlife” Steve went on to form the cult British melodic rock band “FM”, a band that released many great albums throughout the eighties and nineties and more recently in 2013. Their popularity has always been at the forefront of British Hard Rock. Steve originally teamed up with Escape Music to provide lead vocals for the Boston Tribute album (ESM 081), singing 'Amanda', one of the album highlights. Steve also joined forces with Steve Morris of “Heartland” fame to record the much acclaimed “Shadowman” albums “Land of the Living” (ESM 099) “Different Angles” (ESM127) “Ghost in the Mirror” (ESM179) Watching Over you (ESM224). Steve has also fronted two releases by “The Ladder”, which is a dream come true for all fans of FM as the band is an extension of the great FM themselves. “Future Miracles” (ESM109) was welcome by fans old and new and it was hailed by many as the best album of 2004. More recently “Sacred” (ESM149) is an album that hones the identity of “The Ladder”. Let’s examine Steve’s first solo album “Break Away” (ESM170), this had fans divided as it was so much different from his work with FM, but many grew to love it as it was something different from the norm. Steve gave us a more classic approach to melodic rock with “Diamond Dealer” (ESM198), with great songs that have feeling and depth. The release “Epic” provided one of the best starts to 2014 you could possible want to wish for, and had contributions from Mike Slamer and Billy Greer of Kansas. “Radio Radio” is one of the most radio-friendly tracks you could ever wish to hear and so easy on the ears. It’s the quality of the songs and musicianship on this album that made it so special, it was always going to be difficult to surpass. However, here is Steve’s new recording “Contagious” which is better than ever before. Big production and superb song-writing are the order of the day, these latest offerings from Steve are beautifully executed and flow with finesse from beginning to end. Steve Overland has just added another classic album to his roster, and it’s his best to date.